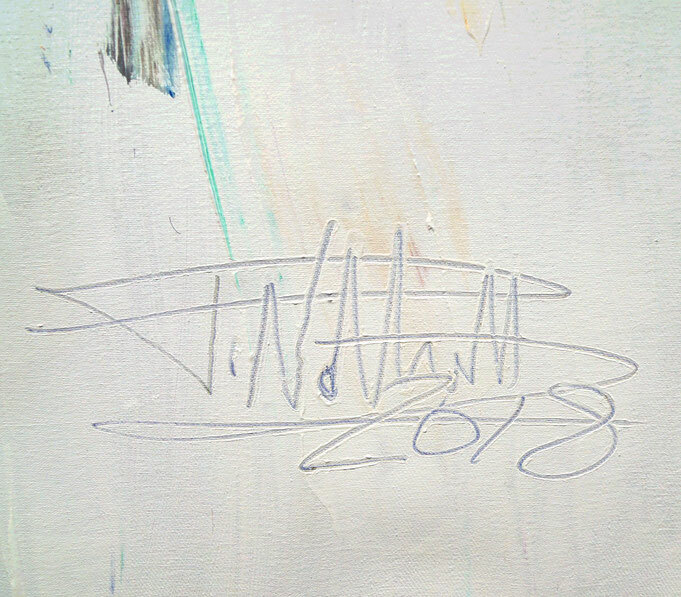 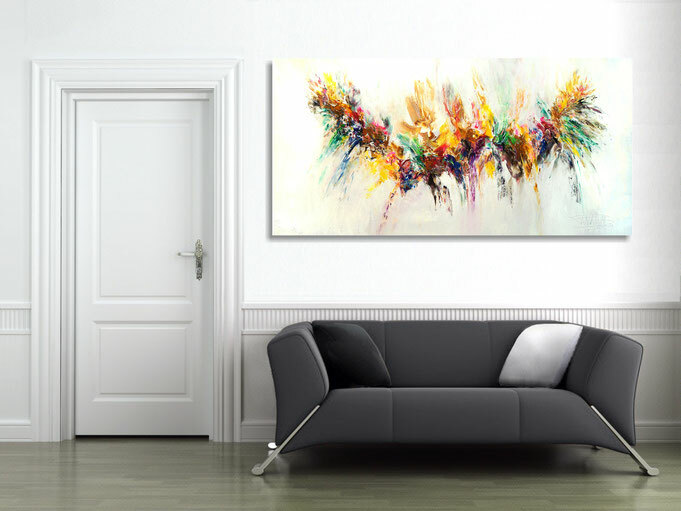 78.8 " width x 41.3" height x 1.5" depth. 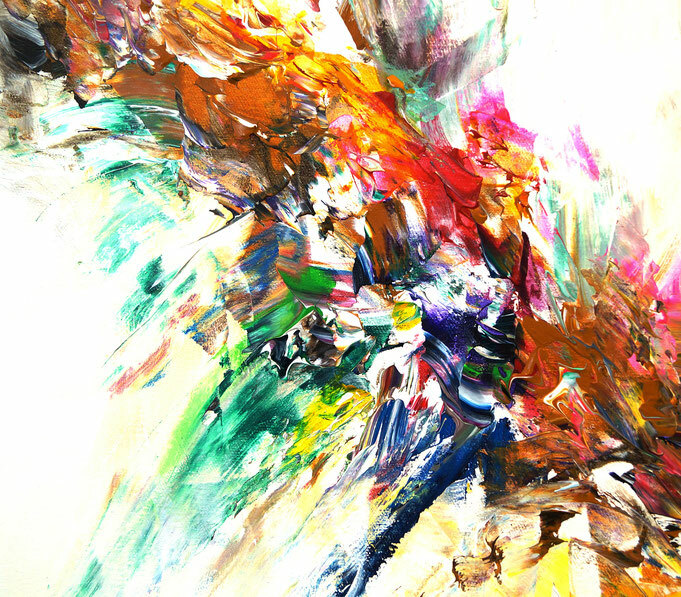 Abstract acrylic on canvas. 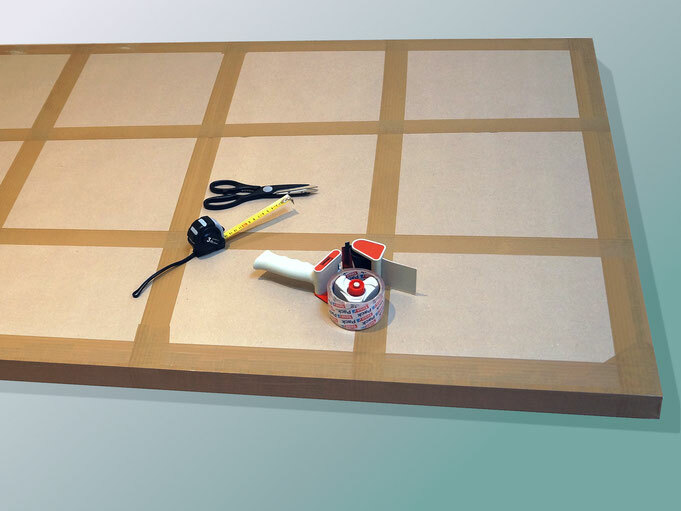 Large format. 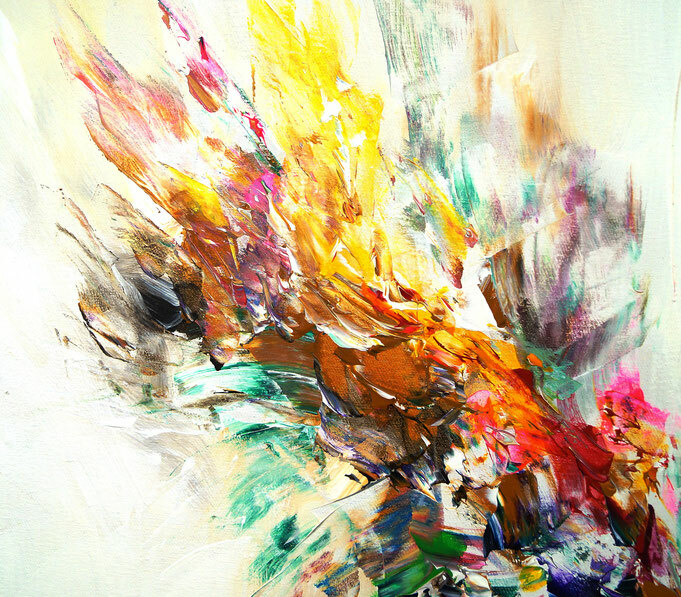 Energetic painting in intense, modern colors. 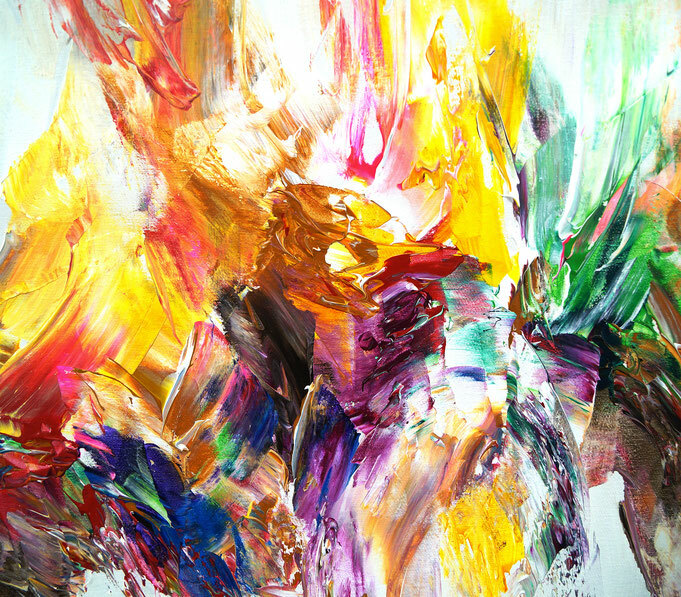 In front of an almost white background, a band-shaped color formation unfolds in yellow, orange, red, blue, green, brown and black as well as white. 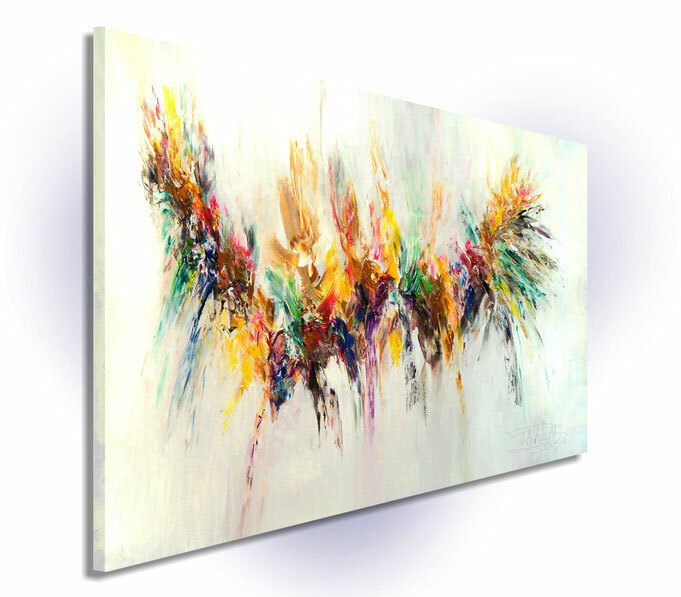 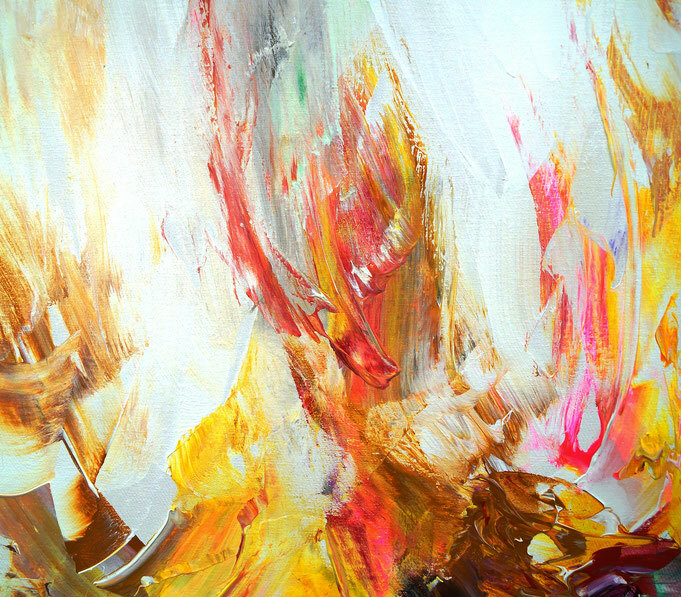 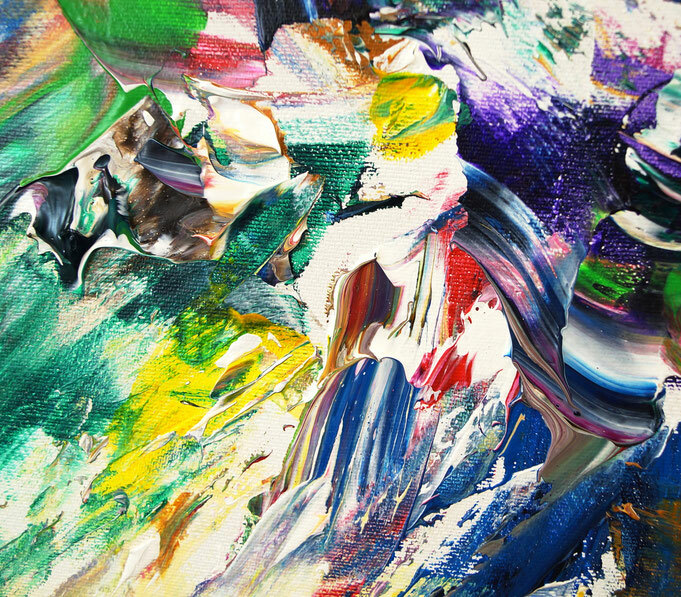 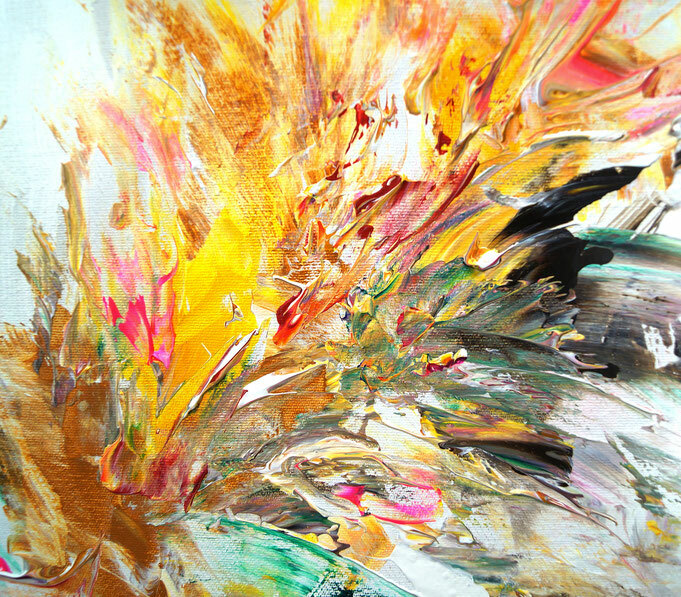 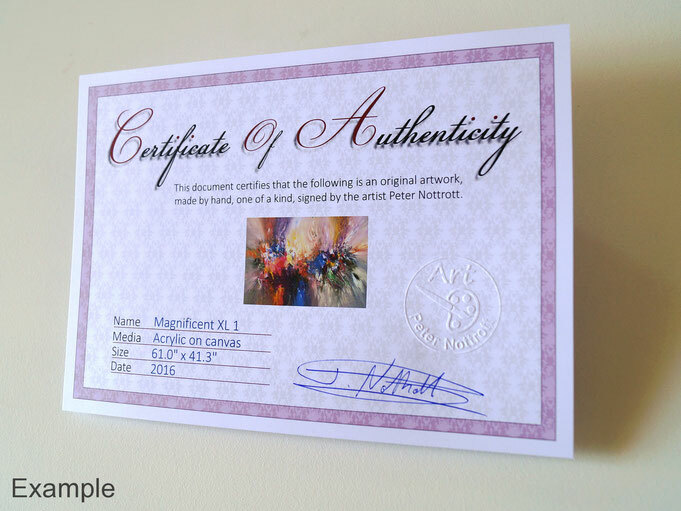 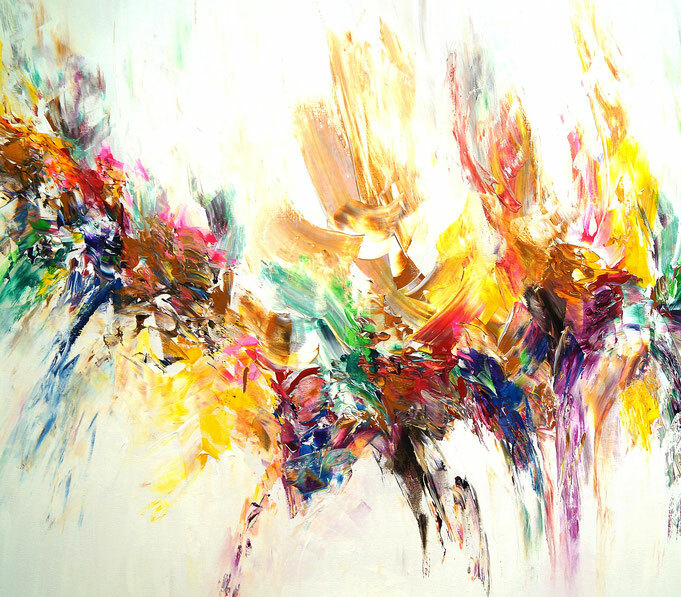 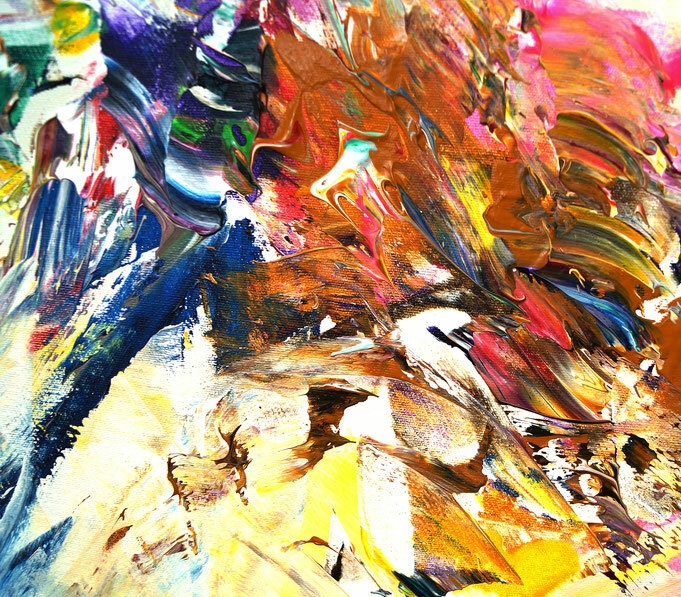 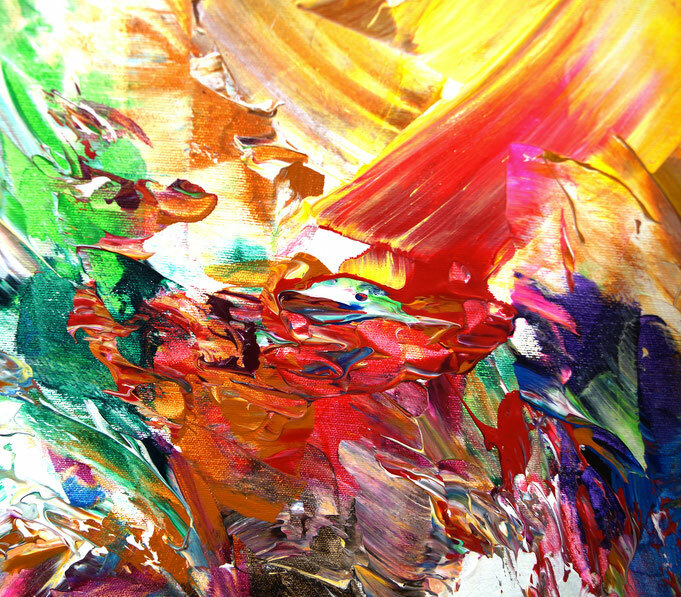 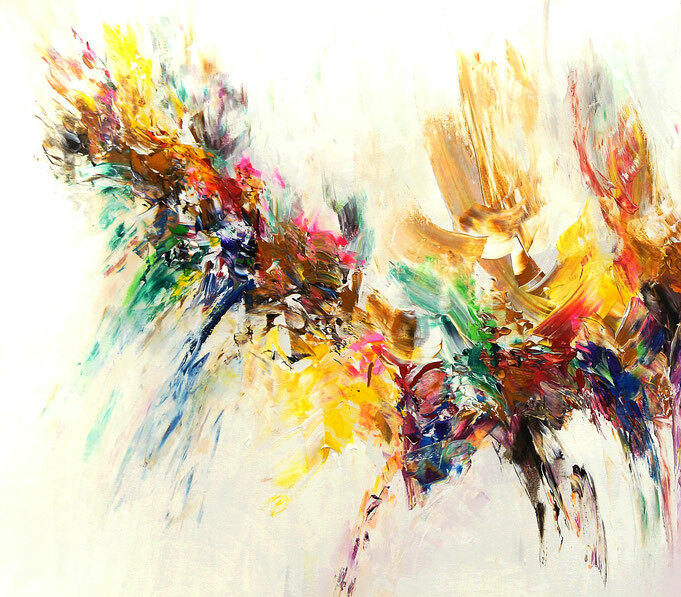 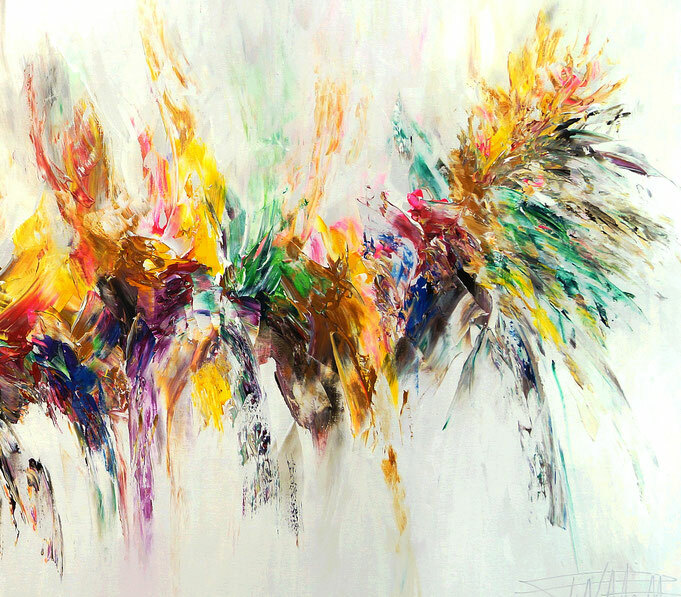 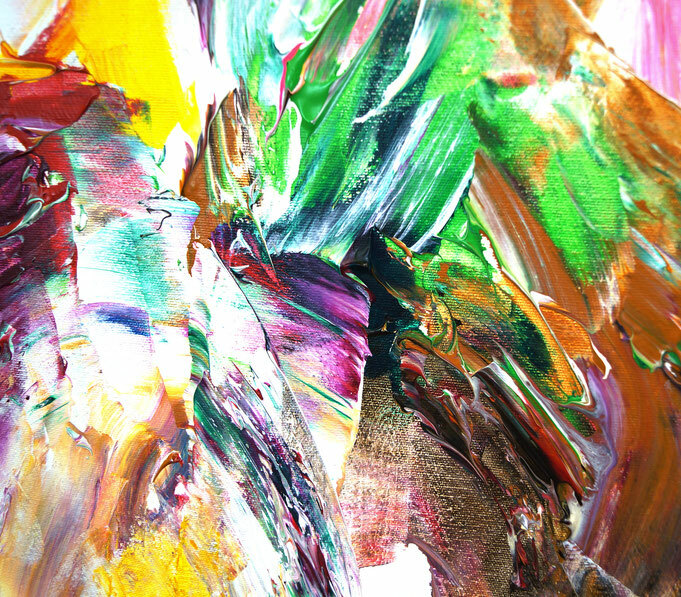 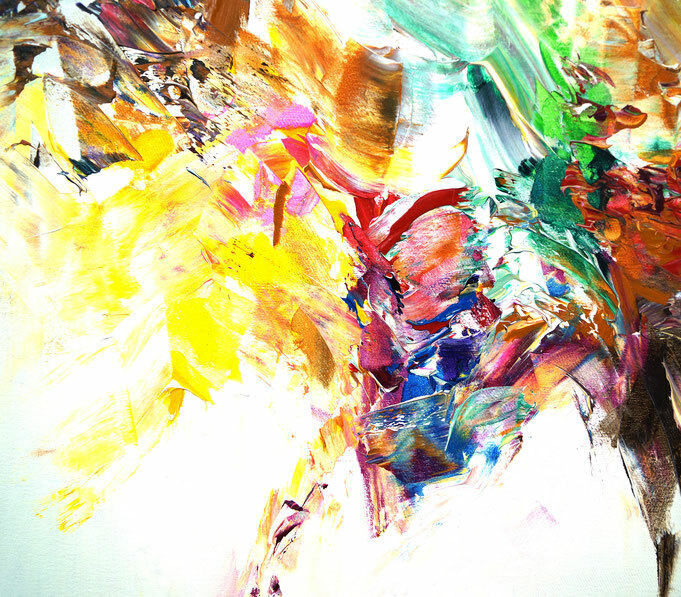 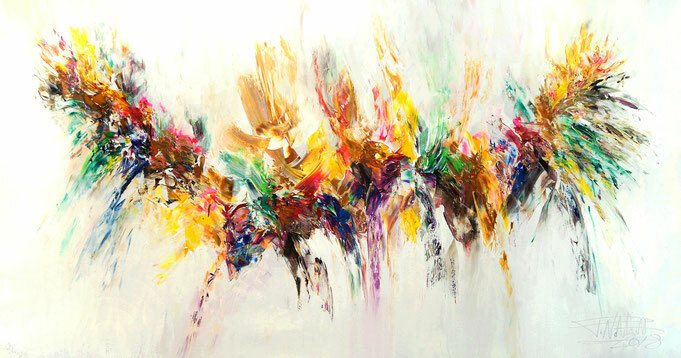 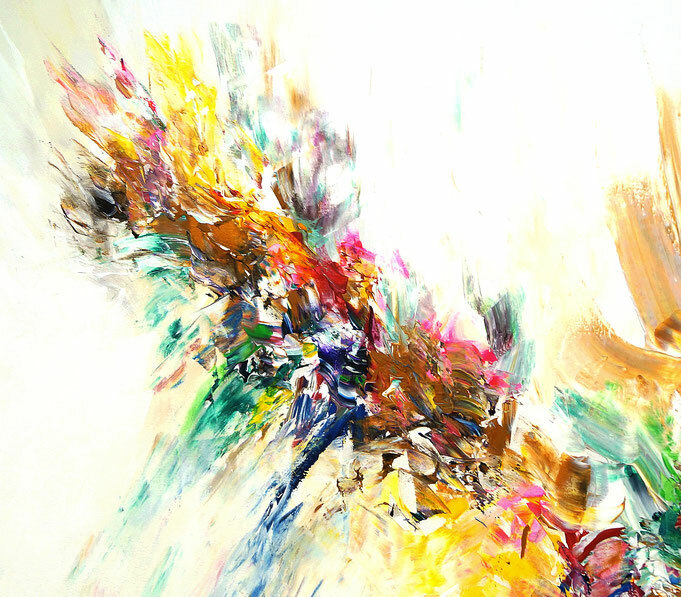 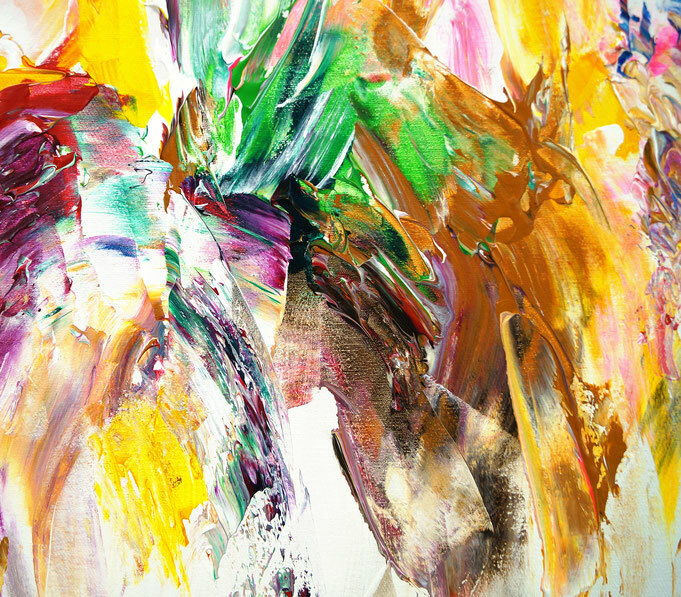 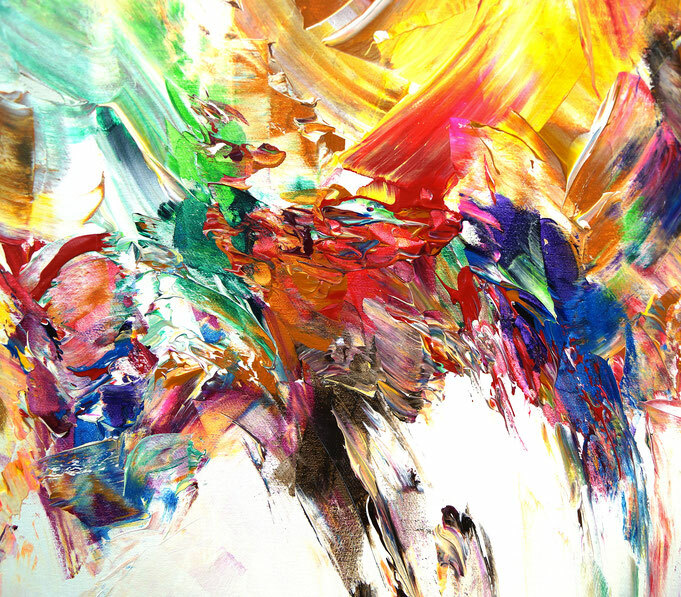 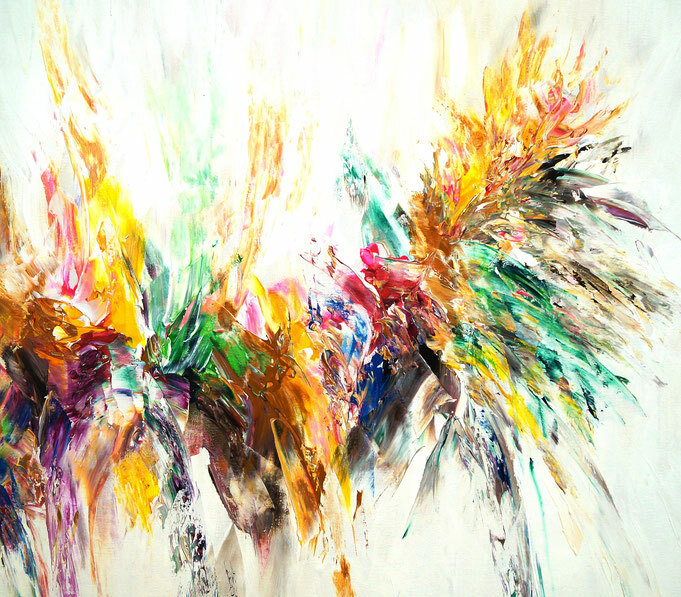 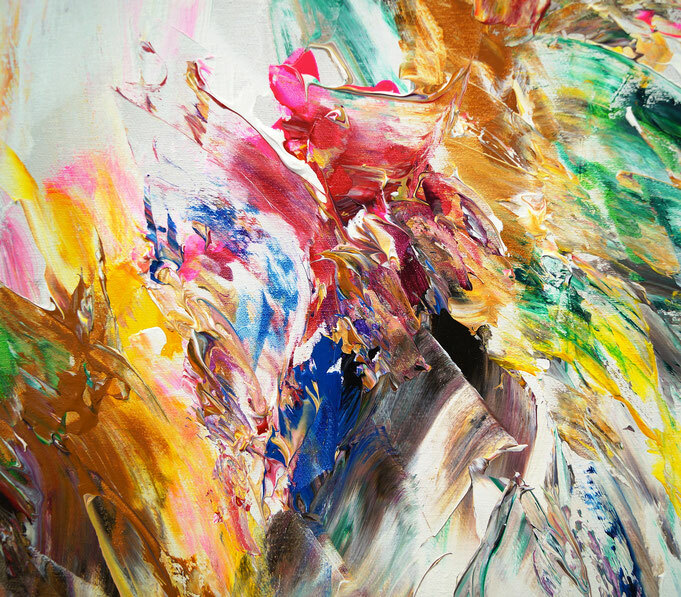 A detailed, abstract painting, which is very energetic yet light - like a enjoyable, carefree daydream ..